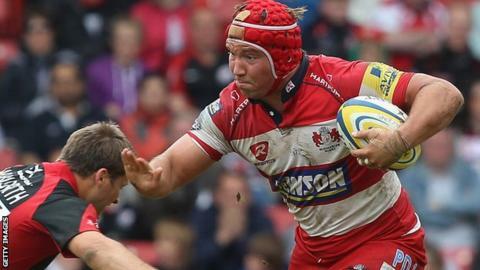 Former England prop Paul Doran Jones will rejoin Gloucester in the summer, while fellow props Paddy McAllister and Nicky Thomas have also agreed deals. Doran Jones, who has won six England caps, spent two seasons at Kingsholm before joining Northampton in 2011. The 29-year-old has been at Harlequins for the past two years but has not made a first-team appearance this season because of injury. McAllister, 25, joins from Aurillac, while Thomas, 20, arrives from Ospreys. Loose-head McAllister started out at Ulster, where Gloucester boss David Humphreys spent 16 years as a player and coach, before moving to France. Thomas, meanwhile, played at club level for Swansea and Aberavon before progressing to Ospreys, where he has made five first-team appearances.